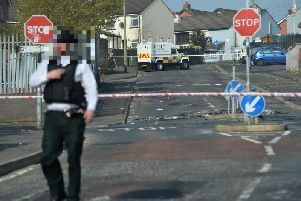 A 40-year-old man has been arrested in Londonderry this morning by detectives investigating violent dissident republican terrorist activity. Police said the arrest was made by detectives from Serious Crime Branch. The man has been taken to Musgrave police station for questioning.